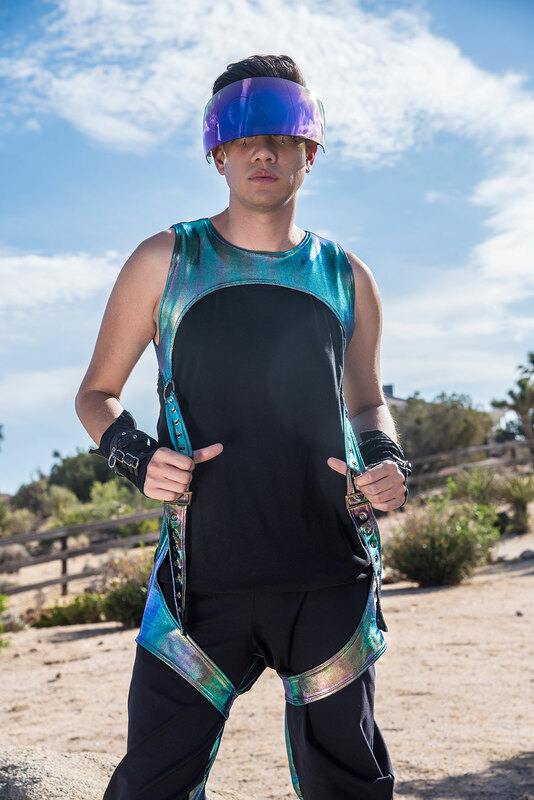 Our opal full leg and shoulder harness & unisex joggers are styled and worn by @Urfestiebestie with his over the top visor shades. @Parissinclair is looking like a golden goddess showing off our new rusty tie dye full leg and shoulder harness paired with our gold coated fishnet tank bodysuit. We’d like to give a huge thanks to @Crystaldanielleart for including her “Cosmic Queen Wild Alexandra” Headdress. Pasties by @Pastease. Body art by @Funkonfashion. @Parissinclair can guide us through the netherworld anyday! She’s wearing our ombre lace up bodysuit and lush faux fur trimmed cloak. To be honest, we can’t stop looking at it. Can we also mention how unbelievable @Urfestiebestie looks in our unisex tank & and how he styled our gypsy mesh pants to the next level? Last we have a bad @$$ group shot of these three looking spectacular in both current and new Firefly Pieces. @Warriorstarrchild is wearing some contrasting crushed velvet with our burgundy tank bodysuit and a new teal full leg and shoulder harness. @Parissinclair is wearing the fan favorite Rainbow Denim Lace Up Bodysuit and some intense Pleaser Shoes. Lastly, @Urfestiebestie is wearing our men’s hooded mesh tank, our twisted unisex joggers, complimented by his own custom face mask & gloves. We hope you love our mini Burning Man Collection! There will be many more new styles in the near future, so stay tuned. 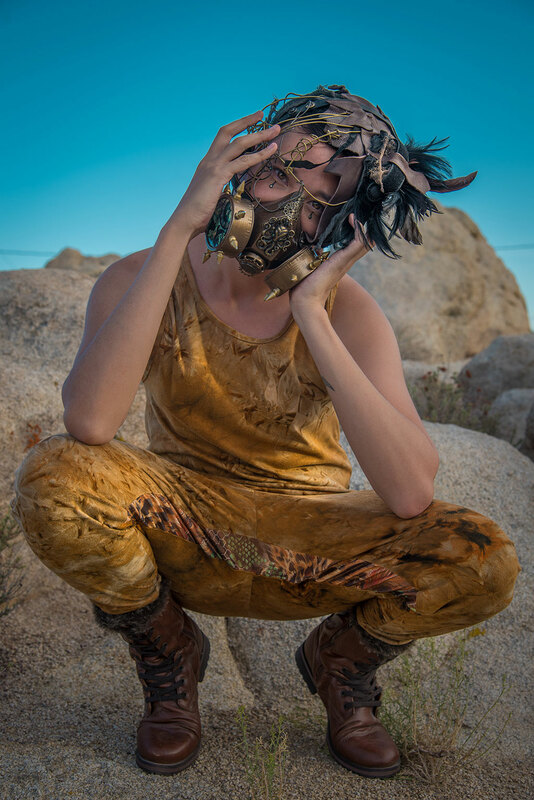 We’d like to thank @lizzierosemedia for channeling her creative energy and beautiful vision into our clothing, and also @Parissinclair, @Urfestiebestie and @Warriorstarrchild for their pose artistry. All boots compliments of our friends at @dollskill. Lastly we’d like to give a BIG thank you to all of our Fireflies around the world. We are truly blessed to be a part of this community.